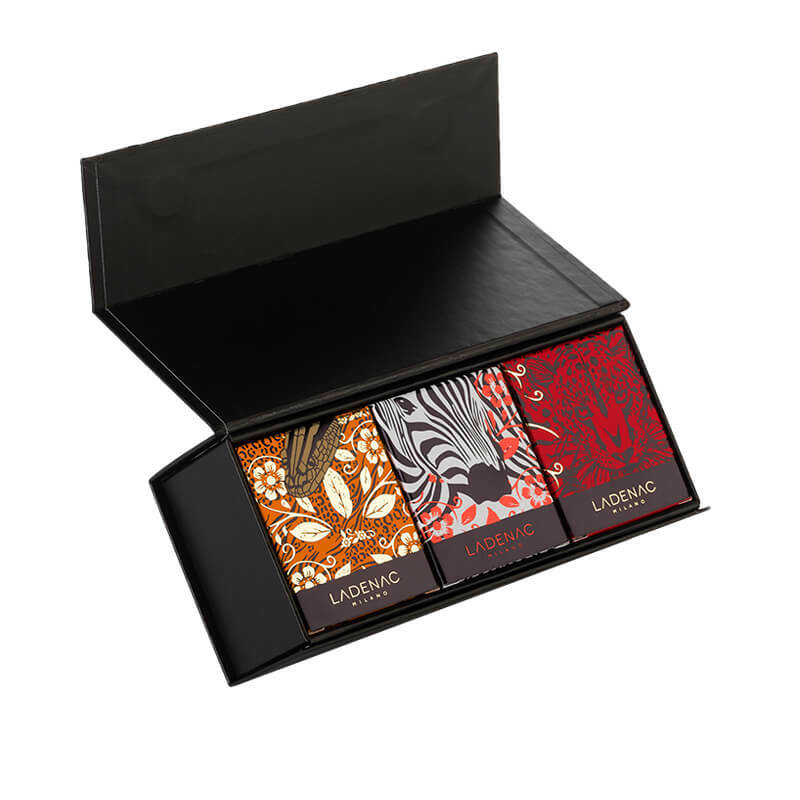 Mini gift set of three assorted scents in aromatic candle format, inspired by animals of the African continent: Camouflage (zebra), Predator (leopard), Temptation (snake). Exotic fragrances with an intense perfume. High quality luxury aromatic candles made by ourselves.